The 80w Joyetech Espion Silk is the latest internal battery mod from Joyetech. Rated for 80 watts, it features a layer of soft hypoallergenic padding, making it lightweight and comfortable to hold. 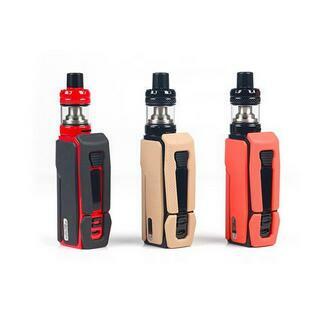 The kit also includes the Joyetech NotchCore tank. It is a 22 mm diameter tank that fits 2.5 mL of e-liquid and is compatible with the 0.45 ohm NotchCoil heads. The coils are rated for 20-30 watts and can be easily re-wicked using cotton. So how does it perform? The look of this mod, is completely different and first impressions will always produce a frown of uncertainty, but when you hold it and feel the quality, you somewhat start to fall in love with the size, feel, and just the general aesthetics. The body is constructed with rubber-like segments, which makes it look a bit like a bumper car with bumpers fitted all around it, but this design makes it super non-slip and if you were to drop it, the rubber does absorb the majority of the impact, but as it’s so light, it will be hard to damage the mod itself. The glass tank though will absorb the majority of the damage, as with pretty much every tank on the market. The fire button has horizontal grooves etched into the plastic, making it super easy to find without looking and although it is plastic, it is well constructed and produces little to no rattle. Below the fire button is the 0.7” OLED screen, and below that are the up and down buttons fitted vertically. There’s also the USB port below the buttons, so you can charge this device when the mod is sitting upright on your desk. The secondly is about its taste. We found that vaping at around 30W produces the best vapor and flavor, anything higher than 35 Watts you’re risking the chance of a dry hit, and that does not taste good! We also found reducing the airflow to half also helps the flavor come out more from your juice. The vape production is also really good, you’re never going to produce the same amount of vapor as the RDA‘s or even the higher wattage sub ohm tank coils, but it’s close and the flavor competes with all the best sub ohm tanks on the market. The secondly is about its taste. We found that vaping at around 30W produces the best vapor and flavor, anything higher than 35 Watts you’re risking the chance of a dry hit, and that does not taste good! We also found reducing the airflow to half also helps the flavor come out more from your juice. The vape production is also really good, you’re never going to produce the same amount of vapor as the RDA’s or even the higher wattage sub ohm tank coils, but it’s close and the flavor competes with all the best sub ohm tanks on the market. 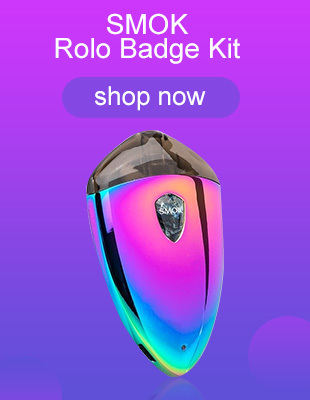 In general, the Joytech Espion Silk is an easy to use, light and great producing vapor device. With a huge 2800mAh battery and coils which operate best around 30 Watts, experienced vapers out there will know this mod should last all day, even for the heavier vapers out there. In general, the Joytech Espion Silk is an easy to use, light and great producing vapor device. With a huge 2800mAh battery and coils which operate best around 30 Watts, experienced vapers out there will know this mod should last all day, even for the heavier vapers out there.